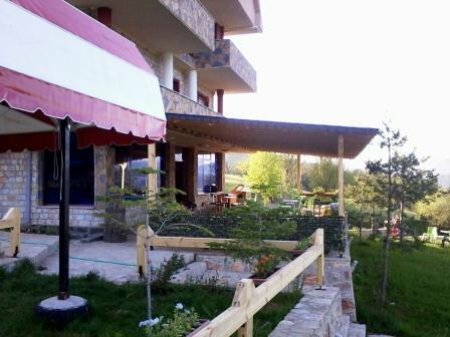 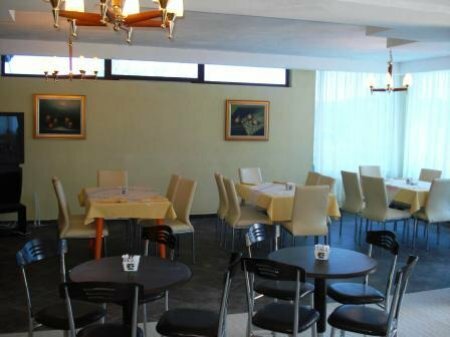 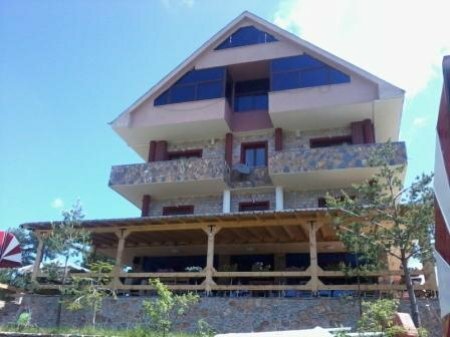 Hotel Royal with an alpine structure, height 1420 m above sea level, with conditions very comfortable and very well adapted to the architecture of Voskopoja. 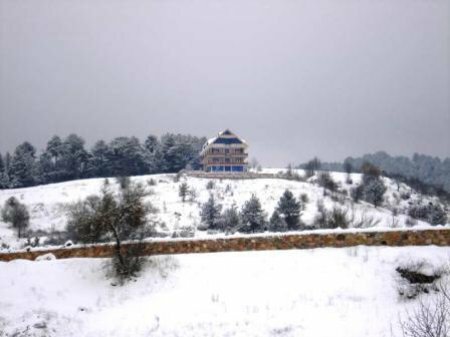 Voskopoja is about 15 km from Korca. 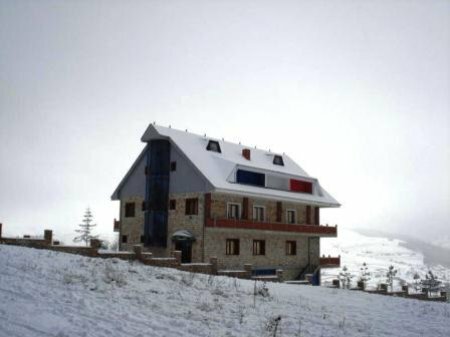 The rooms are very comfortable, with alpine facility, equipped with heating, balcony, etc. 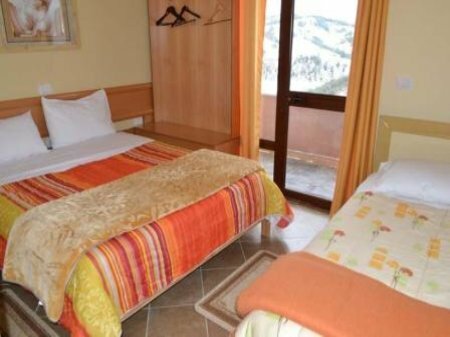 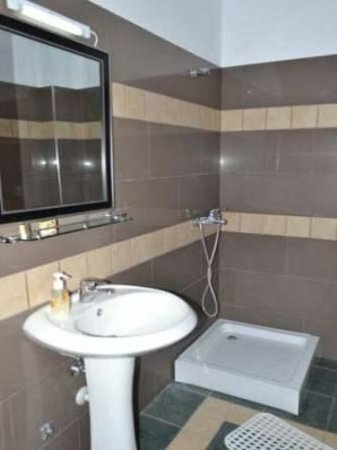 Capacity: 20 rooms (45 beds) furnished with style. 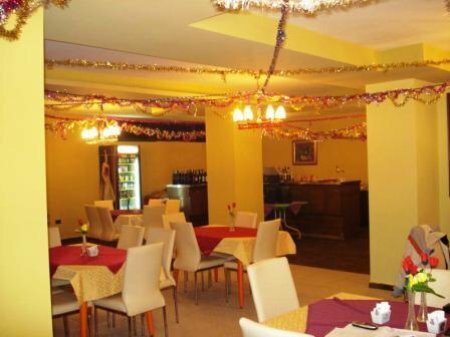 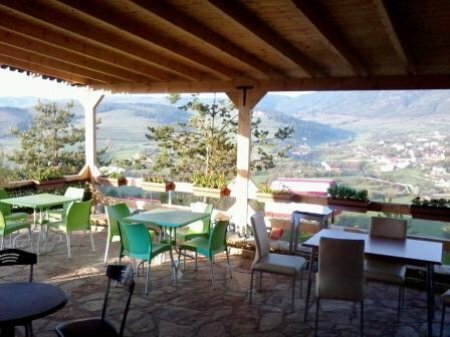 The restaurant offers a rich menu of traditional dishes of the area, alternating with Balkan and European cuisine. 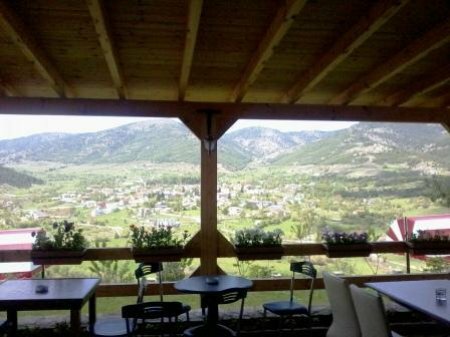 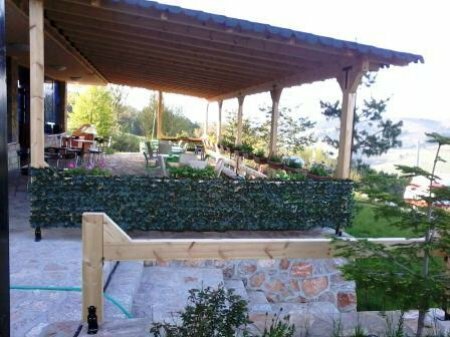 Specialty is fresh meat dishes bio, bio dairy and traditional dishes of the area of Korca, etc. 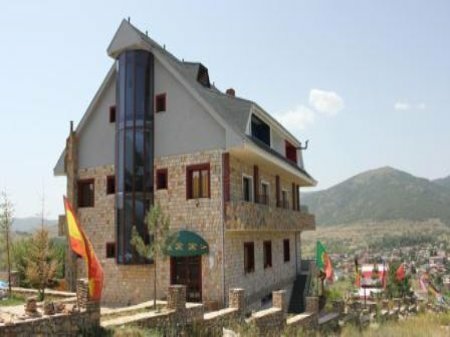 Overlooking environment where you can enjoy the pristine nature of the mountain, restaurant, bar, conference room, residence angle, terrace, parking guaranteed. 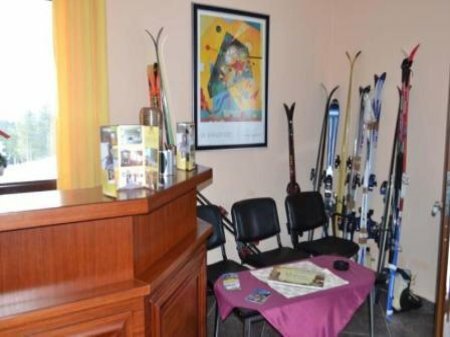 Organizes various holidays. 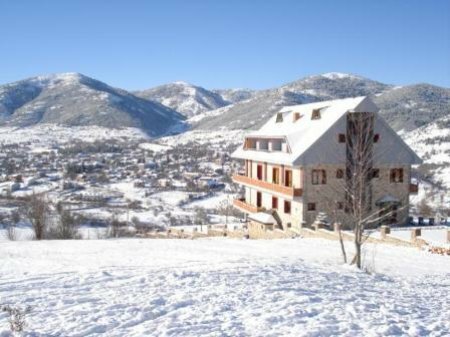 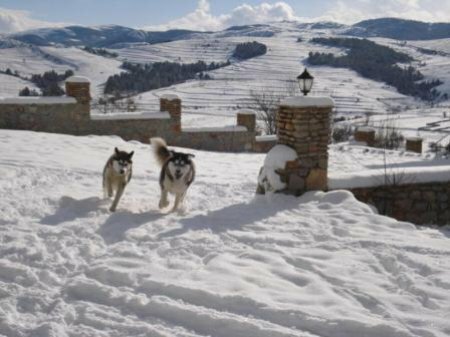 They also organize mountain hiking, winter and summer sports like skiing, tracking, horse-riding, various expeditions in many cultural sites that provides Voskopoja.